Abacus is still in development so things may not always work as expected.If you encounter any issues or have questions or suggestions, please send us an email at abacus@nku.edu. Abacus works best on Google Chrome, Firefox and Internet Explorer 10 or 11. If you are experiencing problems with Abacus, make sure your browser is up to date. Which students should I include on my Student List (DOR)? All students in which you believe your instruction is making a direct impact on their learning should be included on the Student List (DOR). 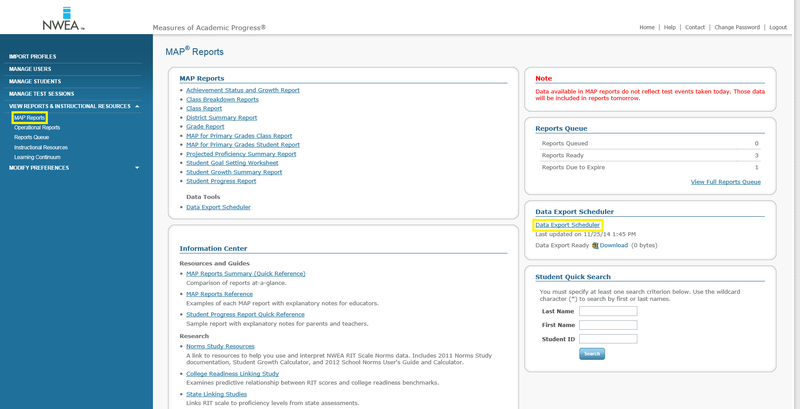 How do I change incorrect student information on a submitted DOR? 1. Start from the "Assignments" page. 2. 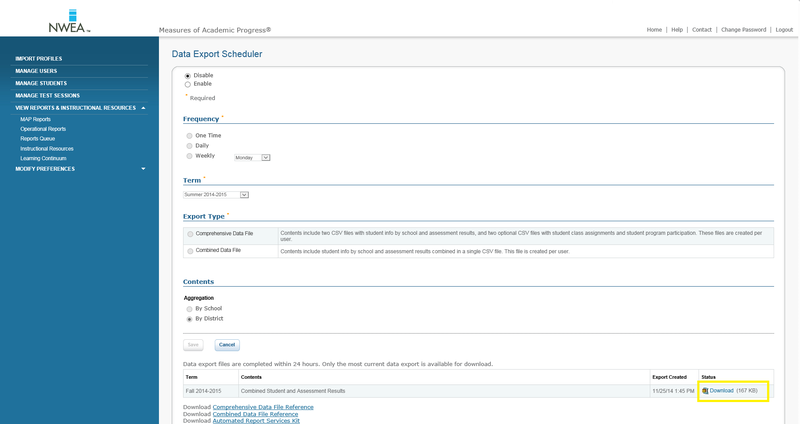 Click on your Dates of Record (DOR) assignment. 3. Click the "Edit" button on the student that you would like to update. 4. 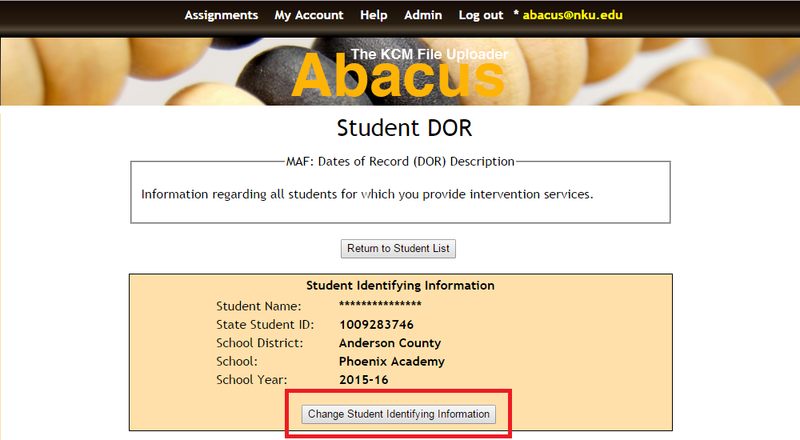 Click the "Change Student Identifying Information" button in the first box. 5. Make any corrections that need to be made in the provided text boxes. Should I still fill out the student’s information on the DOR even when the consent form is incomplete? Yes. All students should be entered on the DOR, regardless of whether or not a permission slip has been received (explanation in the next drop down). If a student has not returned the permission slip, or the student returned a blank permission slip, please upload a blank permission slip to the DOR. We can then indicate that the student’s data cannot be used for research purposes. Why? The Kentucky Center for Mathematics’ programs are grant funded and often require quality improvement reports to be shared with the Kentucky Department of Education. Permission slips are not required for quality improvement reports. Permission slips/consent forms are, however, used to identify students whose parents have allowed their child’s data and/or photos and videos to be shared for research, presentations, and/or professional development reasons. How do I upload a Student Consent form? NOTE: Please make sure your consent forms include the following information: Student ID, School Name, and the Parent's Signature date (if the parent signed the consent form). The Student ID and School name is to be written in the box in the bottom left corner of the consent form. Not including this information will consider the consent form as invalid. You should see the following message if a permission slip is currently not uploaded or the timestamp has not saved. 3. You should now see this page, click “submit'. 4. You will now be re-directed back to the Main DOR screen. How do I upload a consent form using my iPad or iPhone? 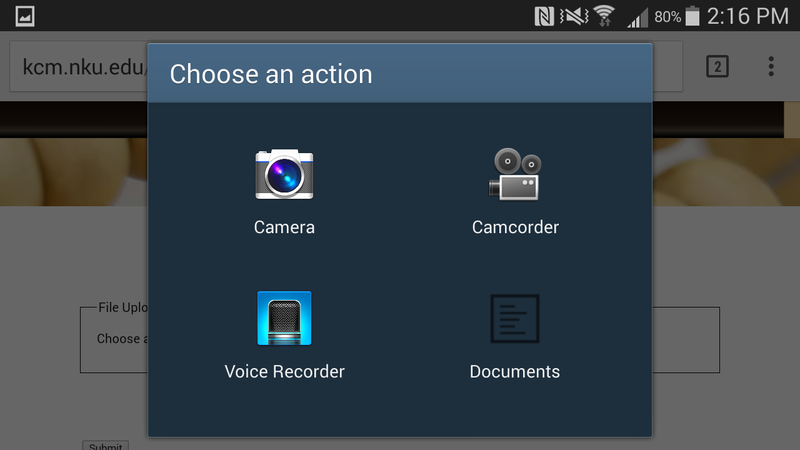 How do I upload a consent form using my Android Device? How do I delete a student's consent form on my DOR? There is no way for you to delete a consent form for a student; however, you can override the consent on file by resubmitting the correct file. What is the Abacus Notification System? The Abacus Notification System is a system that sends messages to users without the need to send an email to them for everything that happens on Abacus. This will prevent clutter in user's emails as well as help keep all messages organized. Abacus will send notifications based on actions that happen throughout the website such as file validation and new assignments. How do I use the Abacus Notification System? Using the Abacus Notification System is simple. Once a notification has been received, you can view it by clicking on the Bell at the top of any page. Here you will see a popup that displays every unread notification that you currently have. Each notification behaves like an email, as in it has both a subject and a message associated with it. The subject is what you see when you click on the Bell. Clicking on the notification will then show you the full message of the notification. In the popup from clicking on the bell, you can mark the notification as being read by clicking on the 'Mark as Read' button on that notification. You can mark every notification as read by clicking on the Clear Notes' button on the bottom of the popup. If you accidentally marked a notification as read, you can hit the 'Undo' button when a message pops up and it will mark it as unread again. You can view every notification that has been sent to you by clicking on the 'View Notifications' button on the popup. Here you can view the messages of every notification that has been sent to you. There are options to mark a message as unread so that it can show up in your notification popup box or you can archive it if you want to save certain messages. Every notification will be sent as a note or an email. A note is what we are calling the messages you recieve on Abacus. What you receive will depend on your settings. More information can be found in the next question. What if I prefer receiving emails instead of notifications? No problem! Every notification is assigned a category, which determines how it is sent to you. If you would prefer to receive an email for a certain category (or all of them) you can change that by clicking on the 'User Settings' button in the top bar. There you can change how you receive each notification based on category. You can also reach this page by clicking on the Bell in the top bar and then clicking on 'Settings'. There is something that I would like to suggest/change! We would love to hear your suggestions! If we missed anything or if you have another good use for the Abacus Notification System, please let us know by sending us an email at abacus@nku.edu. 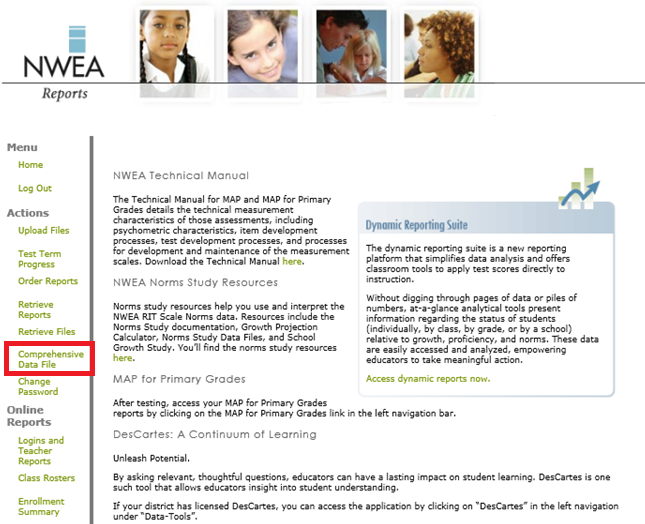 How do I download the correct data file to upload using web-based NWEA/MAP? NOTE: Most participants may not have authorization from their area to obtain the correct file. Attempting to follow these directionswithout authorization will make it impossible to complete the instructions as some buttons will not show up on your account. Please talk to theDistrict Assessment Coordinator in your area and direct them to these directions so that they may obtain the correct file for you. 3. Click 'Data Export Scheduler' from the MAP Reports Menu. NOTE: If you do not see this link then you are not authorized to download the correct file. Please read the note above for more information. a. You will now see a window on the bottom of the screen stating that the file is 'In Process'. 10. 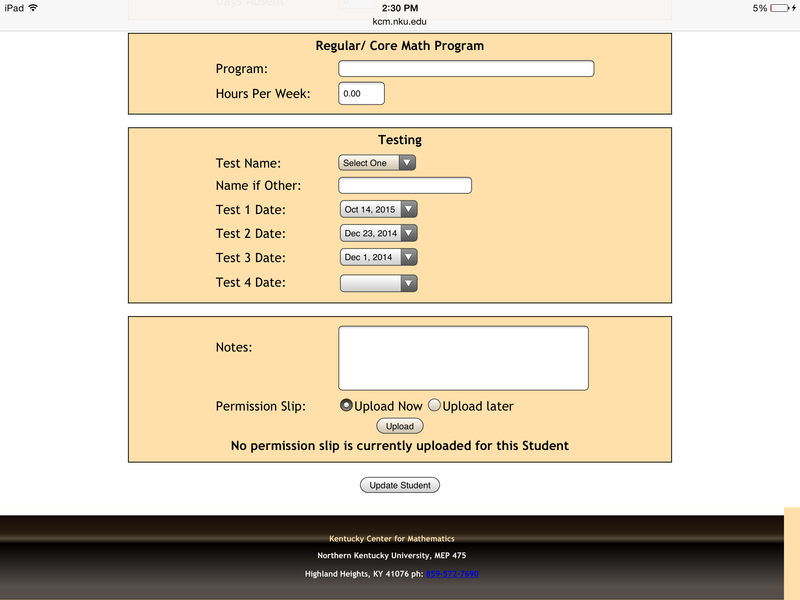 Logout of NWEA/MAP. Check back up to 24 hours later. 11. 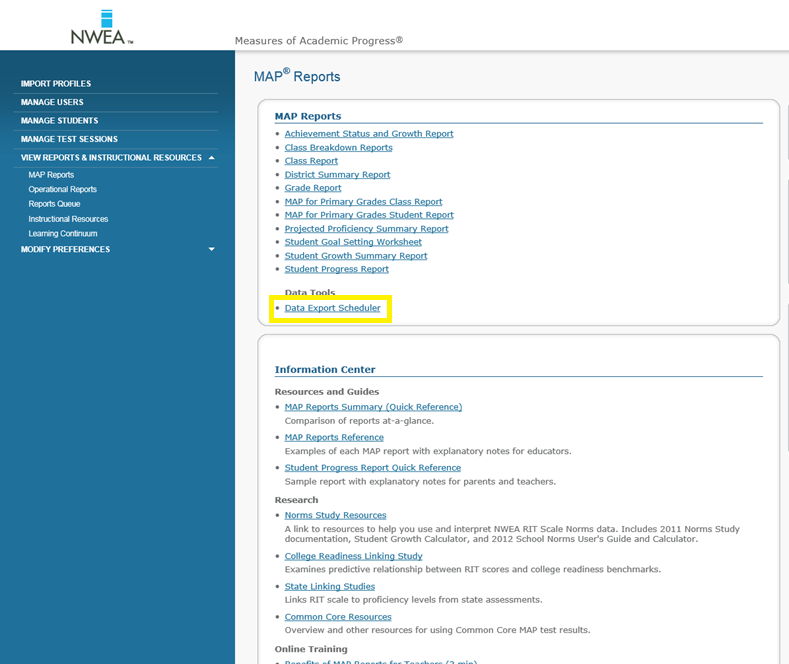 (24 hours later) Log in to NWEA/MAP, click 'MAP Reports', found on the menu on left-hand side of the screen, and then click 'Data Export Scheduler' on the right hand side of the screen. 12. Click 'Download' at the bottom right-hand corner of the screen. 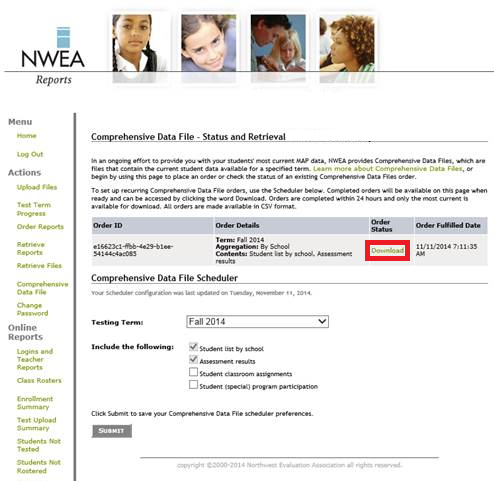 How do I download the correct data file to upload using server-based NWEA/MAP? NOTE: Most participants may not have authorization from their area to obtain these files. Attempting to follow these directionswithout authorization will make it impossible to complete the instructions as some buttons will not show up on your account. Please talk to theDistrict Assessment Coordinator in your area and direct them to these directions so that they may obtain the correct files for you. 2. Enter username and password, click 'LOG ON'. 4. Choose the term and check only the boxes, 'Student list by school' and 'Assessment Results'. 6. Sign out and wait 5-30 minutes. Sign back in and click 'Comprehensive Data file' again. 7. Your file is now ready to download. Click 'Download'. 8. Two files will be available: 'AssessmentResults.csv' and 'StudentList.csv'. Save the two files on your computer. 9. 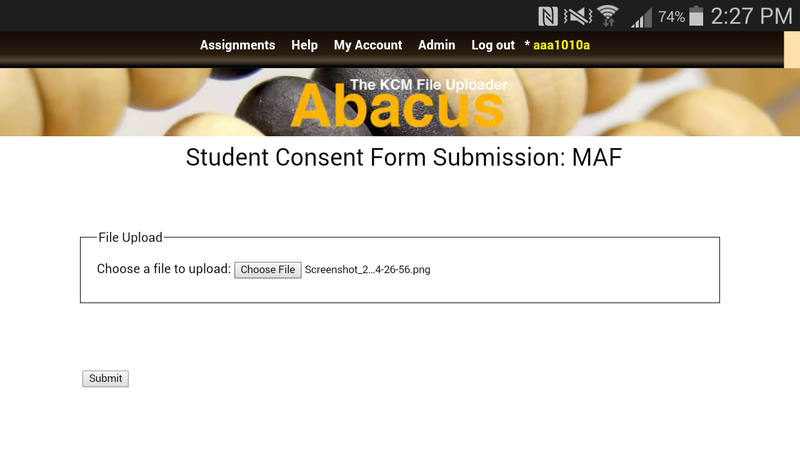 Upload the 'AssessmentResults.csv' file to Abacus under the Schoolwide data assignment using 'MAP' as the test type. 11. Click on the Schoolwide data assignment again, and click 'Add another file' (you should be directed to a new, blank form). 12. 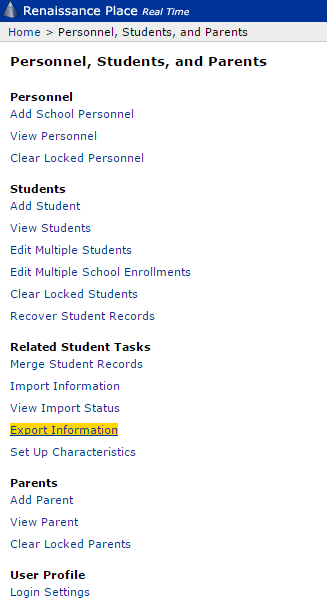 While on the new form, fill out the required information and upload your second file(StudentList.csv). 13. Submit the 'StudentList.csv' as 'Other' under test type. 14. 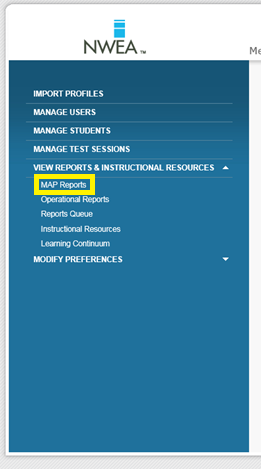 In the 'Other Test Type:' box type 'MAP Student List'. 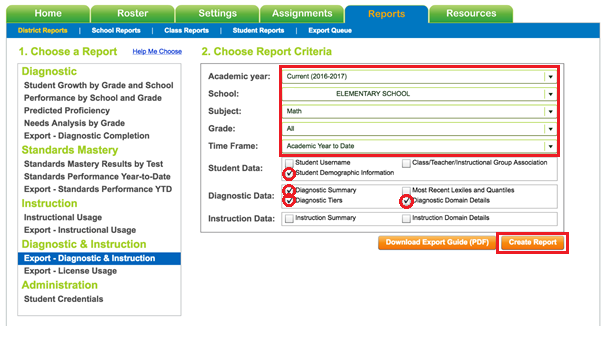 How do I download the correct data file to upload using Discovery Education/DE? Note: Need to be able to pull data for entire school. 1. 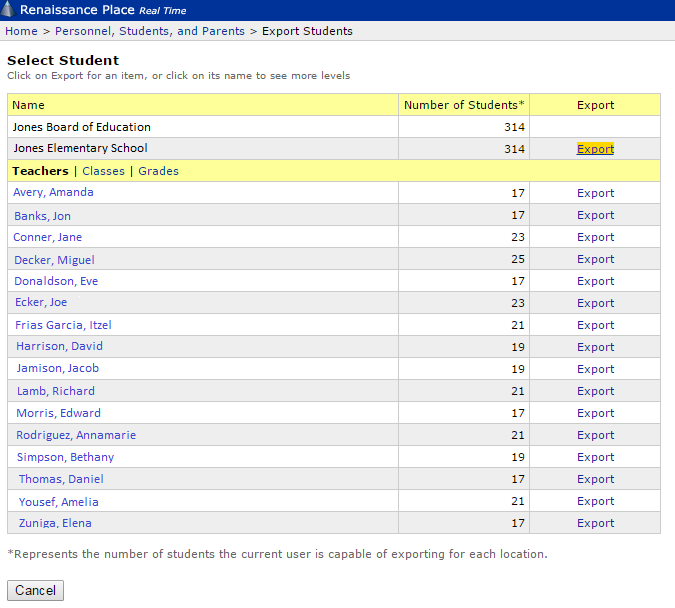 Go to the Interim Benchmarks screen. 8.Check that percentiles are loaded. If percentiles have not been loaded yet, please wait and re-export. 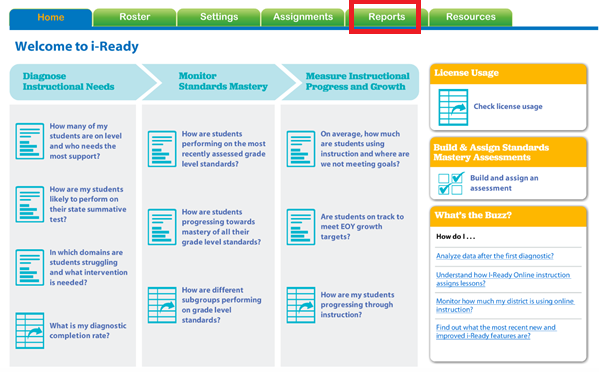 How do I download the correct data file to upload using iReady? 1. 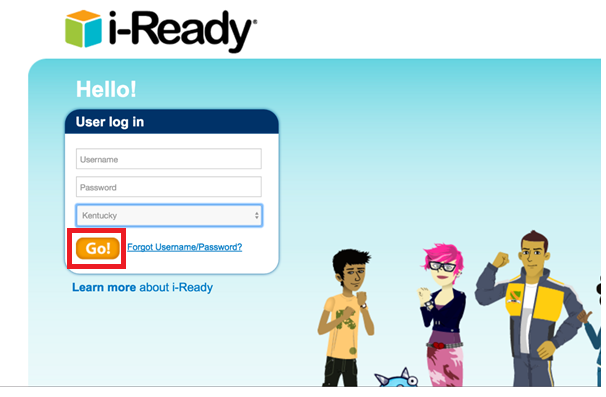 Go to the i-Ready log in page. 3. From the Home screen, click the tab labeled 'Reports'. 4. From the left hand menu, click 'Export – Diagnostic & Instruction'. 6. Finally, click 'Create Report'. 7. Click the orange download arrow. 8. Save the file to your desktop. How do I download the correct data file to upload using STAR? 1. Ask the STAR Administrator or your District Assessment Coordinatorto give you access to schoolwide or district wide data exports. 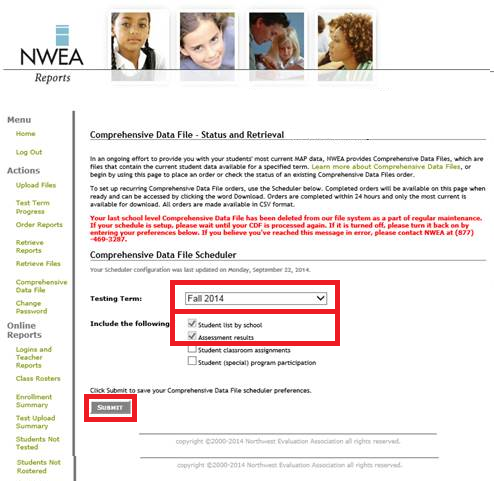 Or,have them complete the steps below and submit the files on yourbehalf by contacting abacus@nku.eduto request a log-in for districtpersonnel to submit schoolwide data. 2. 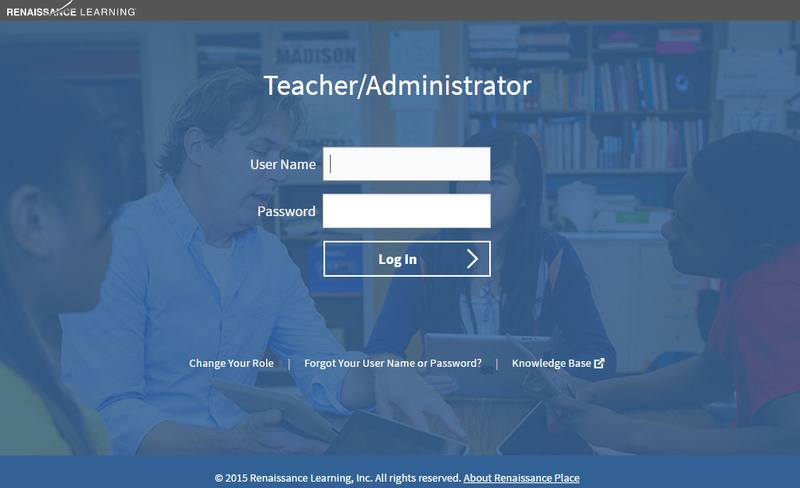 Go to the Renaissance Place Login. Click "I’m aTeacher/Administrator". 6. 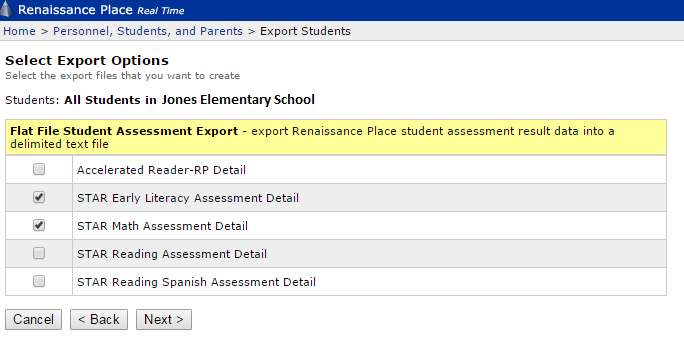 Click "Export" for the school for which your wish tosubmit data. 7. 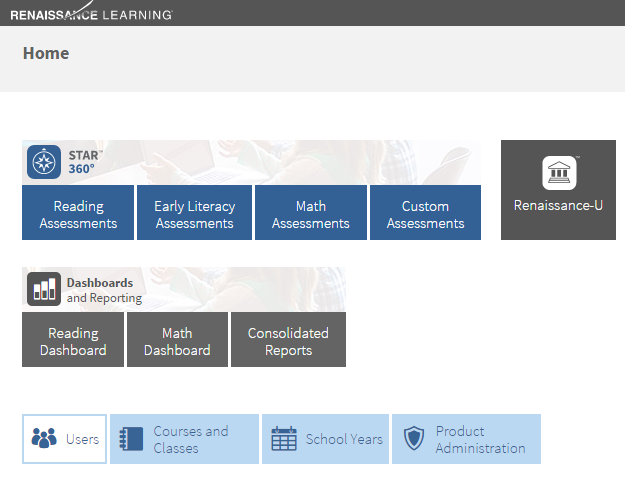 Check both boxes, "STAR Early Literacy Assessment Detail" and"STAR Math Assessment Detail". Click "Next". 8. Select appropriate Start and End dates for the period (fall or spring) ofdata you are pulling. This will depend on your school’s testing window. For fall, select dates that will include all dates all students in theschool were first tested this school year. For spring, select dates thatwill include all dates all students in the school were last tested in theschool year. Click "Next". 9. Click "Download" for both of the files you need to submit. IfSSIDs (State Student IDs) are not included, please insert a column intothe file with the student ids of your intervention students. 10. 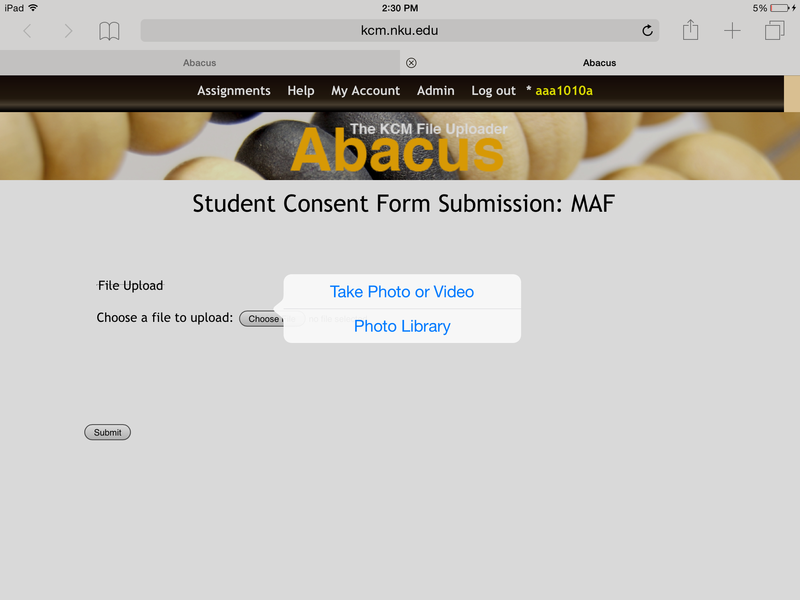 Save the file(s)on your desktop and submit through Abacus. 10. 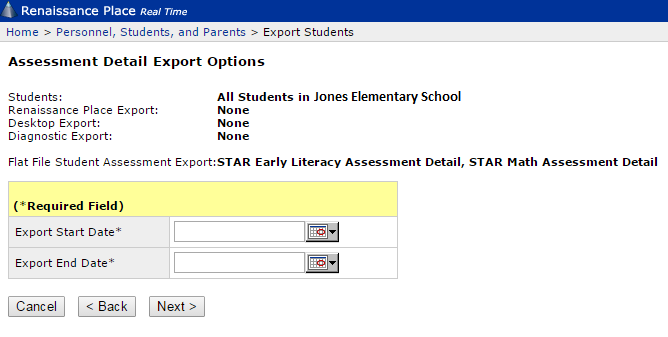 Upload the "STAR Early Literacy Assessment Detail" file to Abacusunder the Schoolwide data assignment using "STAR" as the test type. 11. Browse to select the file, and then click "Update Submission." 12. Then, click "Add Another File". 13. 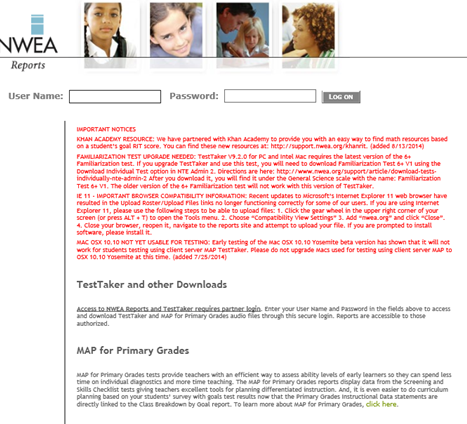 Choose Test Type "Other"and type in "STAR Math Assessment Detail" in the box for"Other Test Type". 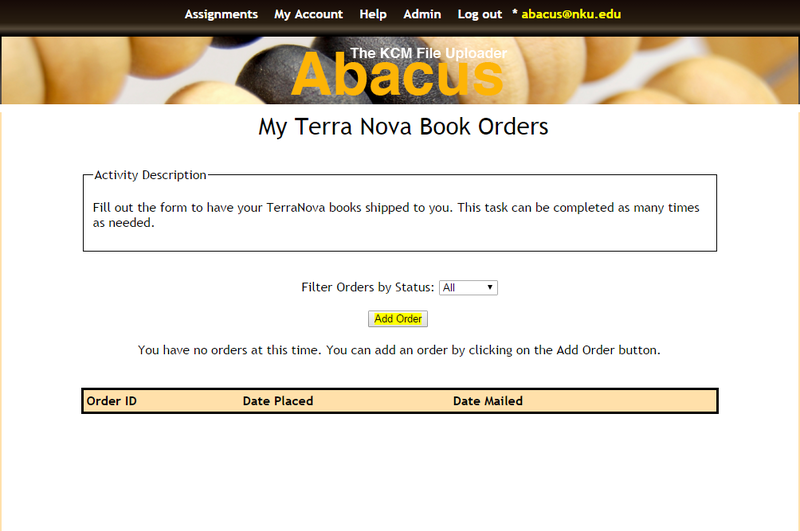 How do I order more books using TerraNova? 1. 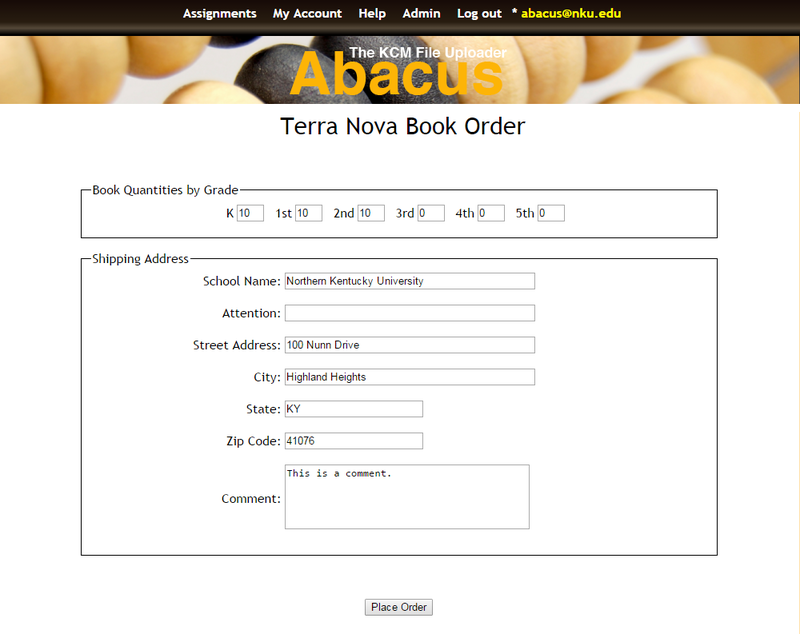 At your assignment page, click on 'Order TerraNova Books' (If you do not see this on your assignment page, send an email to Abacus@nku.edu to have someone correct this). 3. A form will show up allowing you to order books. Fill out the form with the required information including quantity, address, school name, and comments (if needed). 4. Once everything is correctly filled out, click on 'Place Order'. 5. An Abacus Administrator will fulfill your order and send your package to you. You will receive an email when this has been sent out. 6. Repeat the process whenever TerraNova books are needed. What if my school isn't submitting school data for this testing period? 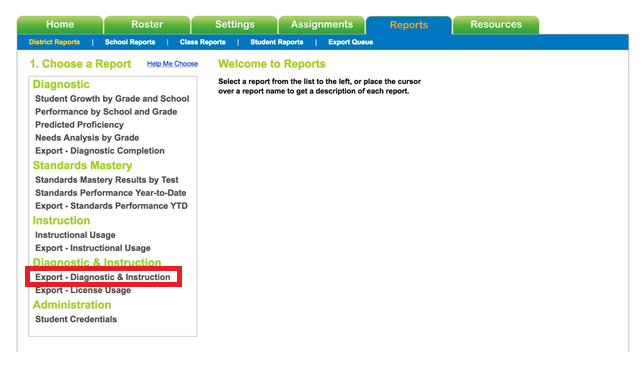 On the School-wide Assessment Data Submission page, select the option from the 'Test Type' drop-down box that states: 'No testing conducted during this period -- explain in comment'. Then explain in the comment box why your school is not testing during this period. Where can I find the Student Work Protocol document? How do I enter my student work results? 1. Go to your Assignments page where you should see three student work assignments listed. Each assignment has a different due date and a status. 2. 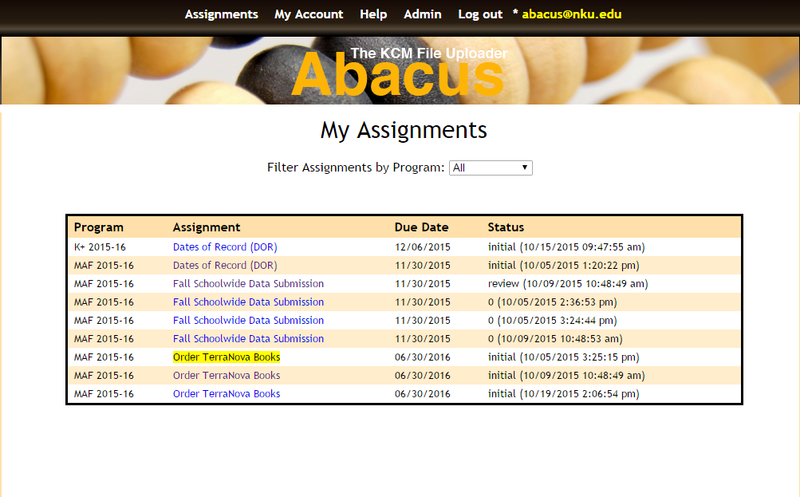 Click on the student work assignment that does not have a status of "complete" and has the earliest due date. Activity Description - describes the assignment that you are to complete. Task - provides a form to input information about the task that your students performed. Student 1 - provides a form to input information about the first of your three students. Student 2 - provides a form to input information about the second of your three students. Student 3 - provides a form to input information about the third of your three students. You need to complete and submit the information in all sections. Once the submission is successful, you can upload any applicable files. 4. Enter the info about your task as requested. The Targeted Standards can be a little tricky. Select all that apply by holding down Ctrl and then selecting the standards one at a time. To unselect a standard, hold down Ctrl again and then click the standard to be unselected. If you click on the standard without hold down Ctrl, you will unselect all of the selected standards. 5. Complete each of the student forms. The first time you complete a student work submission form, you must enter the student ID and work level. These fields will be filled in for you on the second and third assignments. If you move your cursor to any of the circled i's, a short description of the information being requested will display. If the student was unavailable to perform the task, click the box next to "Student unavailable"; you will not need to enter any of the other information for that student. 6. When you have completed all sections, click the submission button at the bottom of the page. If the submission was successful, you will receive a popup message. If there were errors, you should see popup messages pointing to each error. 7. Once you have successfully submitted the form, the submission page will be redisplayed with file upload buttons shown in the task section and each of the student sections. If you have files to upload, go to the appropriate section and click the orange upload button. (NOTE: There are separate upload buttons in each applicable section. It is important that you upload files using the button in the appropriate section so that the files are labeled correctly.) The file upload page will be displayed. Click "Choose File" and select the file from your pc to upload. The file upload page will redisplay with the name of your file shown. Click "Submit File" to finalize the upload. The file upload page will be redisplayed with the newly uploaded file included on the uploaded files list. Continue to upload files as many times as neccessary. When you finish, click "Go Back" to return to the submission page where you will see the name(s) of your newly uploaded file(s). Repeat the upload process for each section as needed. Can I change the student work information after I've submitted it? Yes. Even though the assignment is marked as complete, you can still go in and make changes at any time. If you need to change an uploaded file, just reupload it with the same filename as the original. The upload process will identify the new file as a duplicate and ask you if you want to replace the original. Just press "Save" to complete the replacement. You may also delete files by clicking the delete button next to the desired filename. Who can see my entries? RC assigned to your school - She will be looking at your entries to see how she might assist you. Don't be surprised when she approaches you with questions or suggestions based on your entries. KCM program evaluators - The KCM is always looking at how well their programs are doing. Your entries will be used to judge the success of the professional learning and assistance that the KCM provides and to determine improvements. MAF program evaluators - Your entries will also be used to judge the success of the MAF program and to determine how it might be improved. 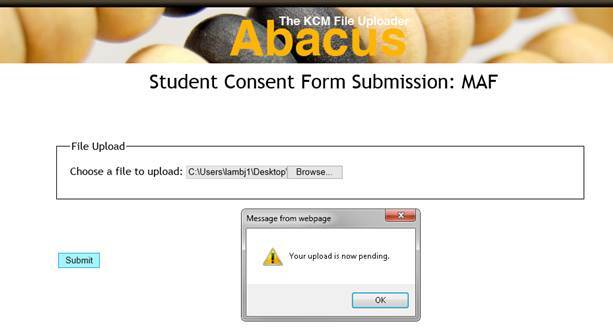 If you have problems with Abacus and the submission process in Abacus, you can send an email to abacus@nku.edu. If you have questions about the student work protocol itself, ask the RC assigned to support your school.